Its kind of urban myth that MotoGP bikes cost is between $2-$3 Million ? is it true ? why MotoGP bikes are so expensive ? well there are so many factors to consider here and most importantly it is almost impossible to count the cost of a MotoGP bike. For a starter lets explain why and how MotoGP is different from production line bikes ? Ever heard of a phrase “race on sundays and sell on mondays” that fits perfectly for World Superbike Championship bikes. in SBK they use the same bikes which are available to be purchased in the market to consumers. While MotoGP bikes are prototype mechines which are not available for general public and they are illegal to use on the roads. A normal SBK bike you can buy inbetween $50,000 to $90,000 but for a motoGP bike we have to consider the following factors. For example Honda will be supplying their production RC213V at a cost of around 1m Euros (£835,000) per rider. While Yamaha will be supplying their YZR-M1 1000cc engines at 800,000 Euros per entry that is £667,000. Basic Bike & Components Cost ? Because these are prototypes, teams have the spend considerable team in research and developments to get their bikes gain that 10th of a second performance. But if we talk about basic MotoGP bike it will cost you around £80,000($125,000). But when a team put the bike on the track, before that £80,000 bike has to go through huge R&D stuff and that is where the bigger cost lies. 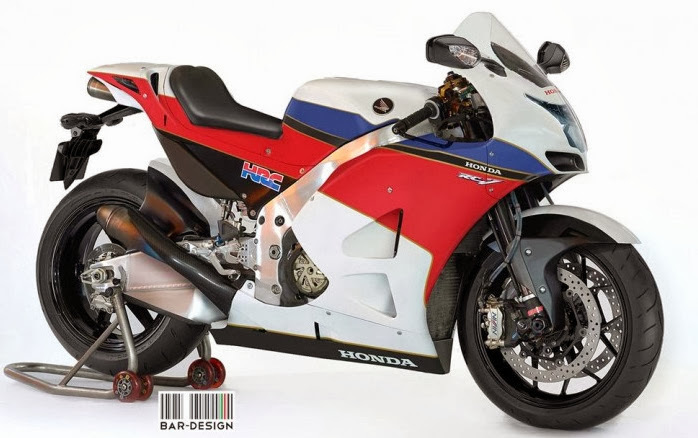 Honda developing a new street-legal V-four supersport bike which will go into market in very limited numbers at the cost of around £80,000 per bike. It comes with RC213 mechine (don’t confuse it with MotoGP bike).